My case of the “fat, dumb and uglies” was heading into remission but it wasn’t in any hurry to pack up and move on. I’d gone to great lengths to assist, buying new lipstick and dressing for car line pick up like I was meeting the president. But this had been a severe outbreak and the effects were lingering longer than normal. 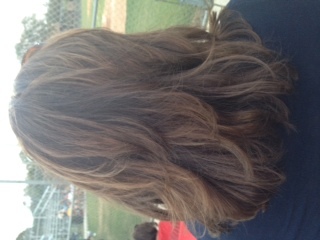 While watching my son’s baseball team warm up at the ball field last night, another mom complimented my hair. In shock I turned to thank her wondering how anyone could look at me without wearing protective eye wear. She repeated her adoration for my hairdo (thanks hair stylist Joy) and asked to take a photo! Gasp. Shriek. Someone get the hissy fit prevention kit. This poor woman had no idea what she had just done. 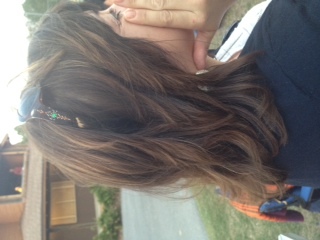 But fighting against my first instinct to run, I let her take a photo of my hair. And then I was shocked. I begrudgingly looked at the photo dreading the horror of what would be staring back at me. And I unbelievably…I LIKED IT. Shocking I know. This sweet lady had given me such a gift. My case of the fat, dumb and uglies was over for now. The back of my hair looked nice and for whatever reason that made all the difference in my world. I realize this is borderline pathetic but in my defense women were created with a natural desire to feel beautiful. We just have to get our head on straight when it comes to the definition of beauty. According to a recent survey by Dove, only 2 percent of women would describe themselves as beautiful. After being bombarded by the media with a distorted definition of beauty, we are left with the task of redefining beauty. Interestingly, the study found that two-thirds of women strongly agree that physical attractiveness is about how one looks, whereas beauty includes much more of who a person is. Women rate happiness, confidence, dignity, and humor as powerful components of beauty, along with the more traditional attributes of physical appearance, body weight and shape, and even a sense of style. Popular culture and the mass media have hijacked the authentic definition of beauty. Beauty is defined by God and God alone. He sets the standard for beauty and gives us clues throughout Scripture as to what defines a beautiful woman. Unfortunately, the secular definition of beauty given by women in the Dove survey failed to recognize the key component that determines a woman’s happiness, confidence, dignity, and humor. That key component, of course, is faith. Just as the Proverbs 31 passage concludes, “Charm is deceptive, and beauty is fleeting; but a woman who fears the Lord is to be praised” (Prov. 31:30). Faith in a loving and forgiving God will be the root of any and all manifestations of beauty. Physical beauty will fade over time, but true beauty (virtue) is timeless. Next Post A Black Eye From What? Girl you crack me up!!! This November I flew to MI for the weekend, and after 2 hours up there I called O to tell her my hair looked amazing the dry weather was making it hold the way I wanted and I loved it! I had a great hair weekend and it was so fun!